Detail Central is proud to stock Kamikaze Collection – the premium Japanese detailing brand sweeping the globe. Meeting at the point where physics and chemistry collide, Kamikaze is the result of years of research and development by scientists and detailing experts. This commitment to creating products that perform to professional expectations has resulted in a range that provides serious protection for your paintwork, ensuring your vehicle looks great and is fortified against the harsh Australian sun, road chemicals and everything else your car has to cope with on a daily basis. Whether you have a new vehicle you want to keep in perfect condition or an older one with a tired finish you want to restore, Kamikaze is all you need. Detail Central stocks a comprehensive range including waxes and wheel coatings, scale remover and overcoats, as well as professional applicators, polishing pads and all the tools you need to give your car the full Kamikaze experience. 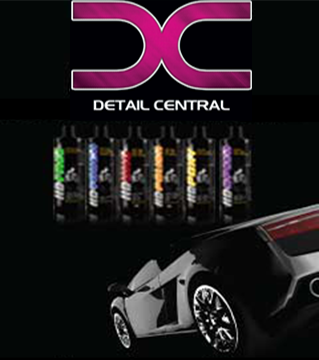 Detail Central is passionate about the best car care & cleaning products. We take pride in helping people protect their car’s finish and keep it looking great for many years. We only sell products and supplies that we believe in and would use ourselves, which is why we stock the exceptional Kamikaze Collection. You can rest assured that you’re buying only the very best when you deal with Detail Central. Cars are our passion and our experience and expertise ensures you receive top-quality products and the advice and guidance to match. We aren’t just a retailer – cars, boats and motorbikes are both our professional and personal passions, and we love providing people with all they need to them looking great and protected. Discover the Detail Central difference by getting in touch with us today. We will be happy to provide all the information you need regarding Kamikaze Collection, or any of our product range, and ensure you can make an informed decision. Call us on 0458 966 399 to speak directly with Detail Central, or leave your details in our contact form and we will get back to you as soon as we can. You can also visit our store and showroom in Carrum Downs and see our products in person.